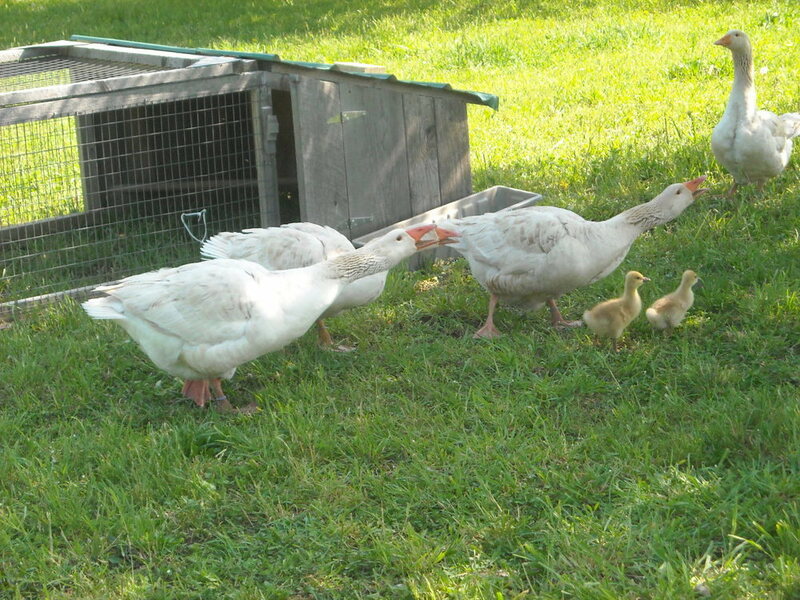 The geese wander the orchard, hissing at anyone wishing to see the goslings. The second setting goose abandoned her nest once the goslings were active. I believe her overprotectiveness killed the third gosling. The third goose is still setting on her nest, hopefully she will have results this week.